3 Important Tips When Leaving Your Home for Vacation « Home Rental Services, Inc.
It’s beginning to look a lot like summer! You may be planning on taking a vacation soon. We wanted to give you three important tips to help you make sure your home is in good condition when you get back from that exciting vacation! 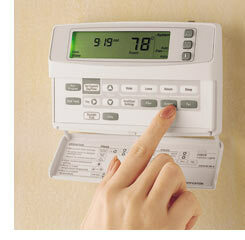 1) Keep your air conditioning on and thermostat set no higher than 80 degrees. You don’t want to come home to a house filled with mold. If you turn off the air conditioning while you are away, there is a good chance that mold will start to grow. It can grow in your kitchen, in your bathrooms, and any place there is moisture and warm, still air. Click here for more details on why you should never turn your thermostat off. When your air conditioning is off, the air in your home is not circulated and get over 90 degrees during hot summer months. These are perfect conditions for mold to grow and can cost thousands of dollars to fix. 2) Turn off the water supply to your house. 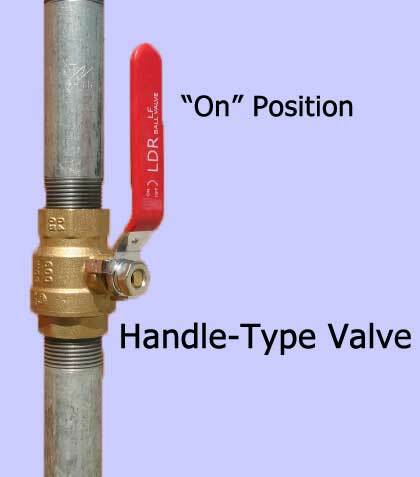 Click here for more details on finding your shut off valve. By shutting off the main water supply, you avoid the possibility of a water leak doing major damage to your home while you are away. Often, it’s a simple supply line that breaks at just the wrong time… when nobody is home to notice. And then water flows freely for a few days. Imagine the damage! 3) Let a neighbor know that you are going to be out of town. It’s a good idea to let your neighbors know if you are going to be away for more than a day or two. Your neighbors are the most likely to see a problem while you are gone. We recommend that you leave them contact information in case they do see something out of the ordinary. Even better, they might be willing to pick up your mail and newspaper so that it isn’t obvious you’re gone!